Unavoidably linked with street art, graffiti, at least for some, has always been knocked down as vandalism and an urban blight. From revolutionary murals in Egyptian streets to the Great Wall of Los Angeles, graffiti is a reflection of radical politics, protest or the joy of living for street artists like Gabriel Garay from central California. 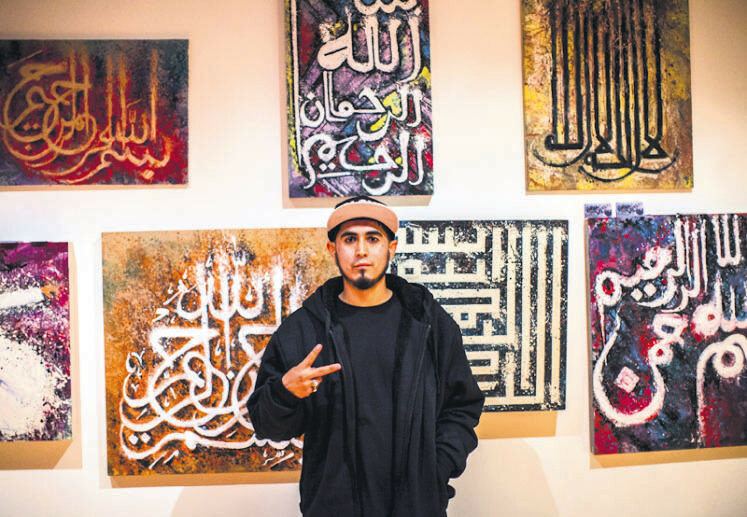 For him, doing graffiti is not satisfying enough, as he goes further and becomes a practicing artist in "calligraffiti," a relatively new street art that merges classical Arabic calligraphy with modern graffiti styles. Since the 1970s and 1980s, calligraffiti has opened new doors to discussion about intercultural tolerance. Rather than using a brush pen, Garay uses spray cans to paint on walls or big canvas, which he describes as something "infectious." Behind his intriguing work, there is a more noteworthy life story to tell, however. Coming from a large family with both Mexican and American roots, Gabriel, a Muslim convert, was born in a rural ghetto in the industrial farming region and Chicano. "Growing up here was very interesting. We were kind of like the unwanted offspring of slave laborers. No emphasis was placed on higher education and the school system was underfunded. So, growing up in this part of California was very depressing," he told Daily Sabah. 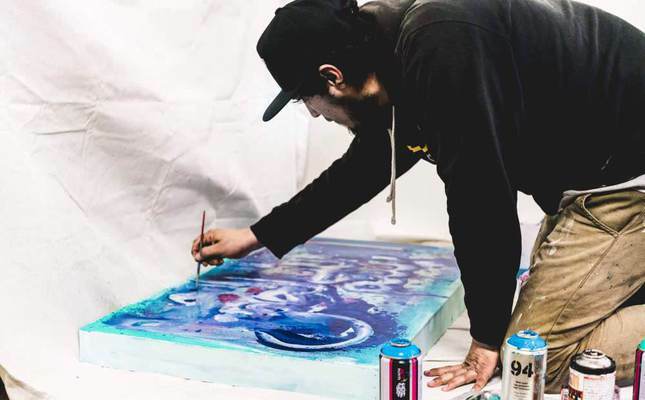 Now in his early 30s, he recalls a childhood far from the American Dream that triggered his entrance into the world of street art in the years that ensued. "There was a lot of trauma at home. I would wander the streets which were occupied by local Mexican gangs that were thriving due to the unstable environment," Gabriel went on to say, admitting that he dedicated himself to intoxication to self-soothe. Gabriel was very young when he began to learn what street art means at home. 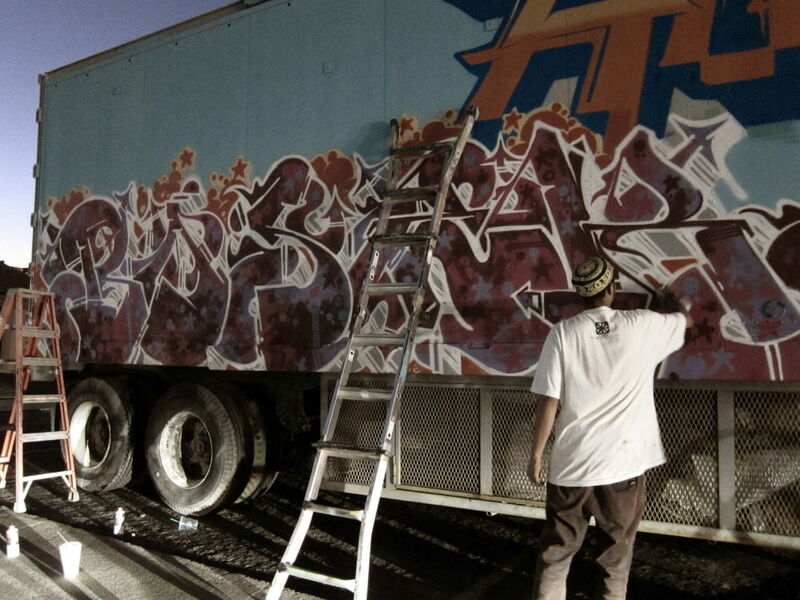 He first became familiar with Cholo writing which is said to be the oldest graffiti form of the 20th century. A Mexican-American phenomenon based on black letter typography, it is associated with street gangs and used as a territorial sign to show their area of influence. Gabriel said, "The idea of street art was unfamiliar to us. As a kid, we had Cholo writing ... [During] the time I spent at my grandparent's home, I would see Cholo writing etched into the concrete." Heavily influenced by hip hop culture, Gabriel started to notice graffiti on trains and as he traveled a lot, he began to see it everywhere. "I have been stuck with it ever since," he further said. Unfortunately, as in other countries, graffiti culture is not a respected art form and many street artist share similar sorrowful childhoods, some haunted by a criminal past. "The majority of graffiti artists I met were like me, we all were kids who grew up on the streets or had no home," Gabriel said. After he fell under the spell of spray-painted letter forms, Gabriel gradually realized his talent and has been lucky enough to receive mentoring by some skilled graffiti artists. In an individualized manner, graffiti was a source of freedom when he first got his hands on it. What makes his art work special is the attention that he gives to craft, but he is also willing to observe how the years of dedication will be reflected on his work. 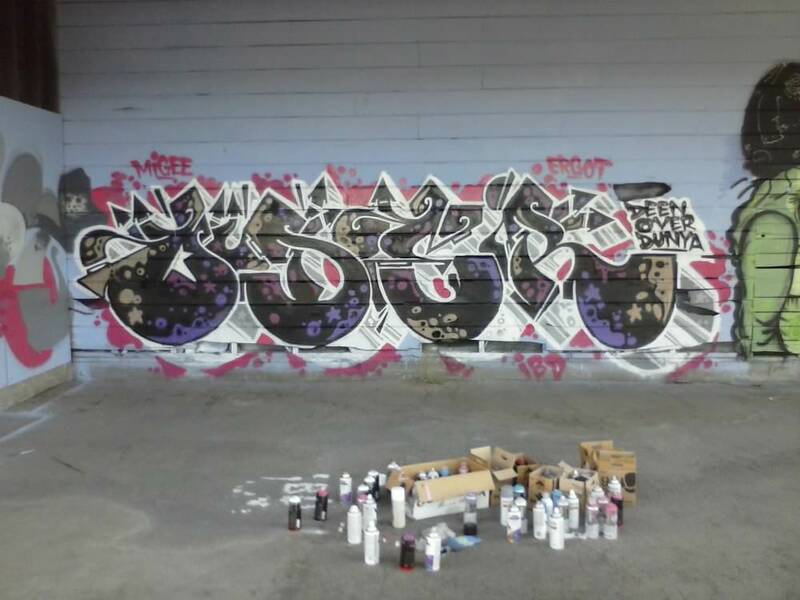 "For me I feel graffiti was and is therapeutic. The reasons why I started are not quite clear. It is a mixture of reasons. 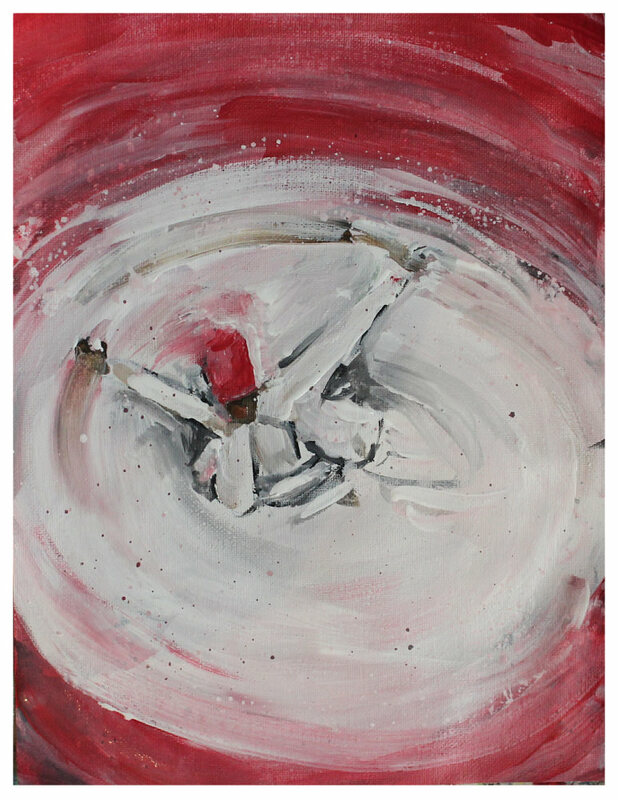 The adrenaline mixed with passion, and something I created, and painting it into existence," he expressed. Graffiti also seems to be a lonely art. Each artist likes working on their own to master their own style and letters. "I have plenty friends within the community, but working together is not something we typically do ... We do feed of each other's ideas," Gabriel said. Although he does not have a background in art studies, Gabriel learned Arabic calligraphy, which has affected what he paints and brings another story. Initially a dedicated Christian, Gabriel stepped away from his religion later as he ended up with unanswered questions while reading the Bible. "I looked at other belief systems. A lot of hip hop music I was listening to had Islamic references, so I naturally began to look at Islam and it made sense to me," he went on to say. Gabriel embraced Islam in 2002. At first, he dealt with some criticism from family members like his father, who refused to talk to him. "We are on good terms now and most people respect my belief," Gabriel said. 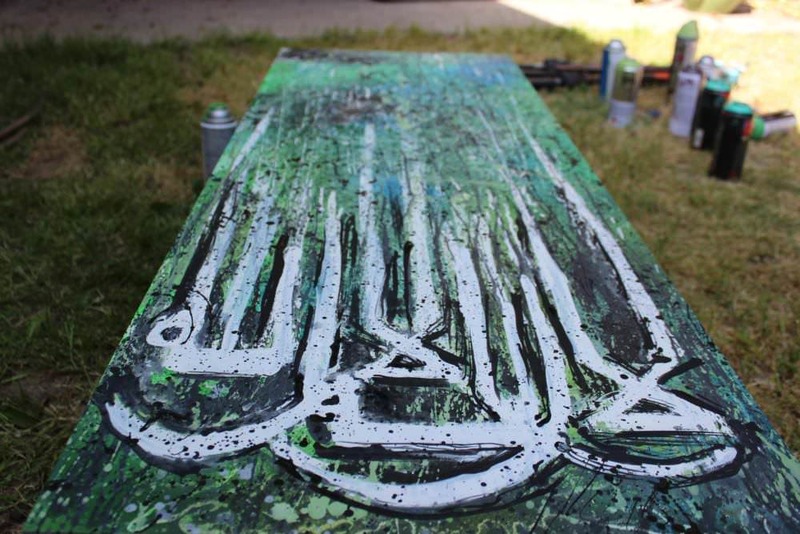 After converting to Islam, along with his lifestyle, Gabriel's art also transformed. 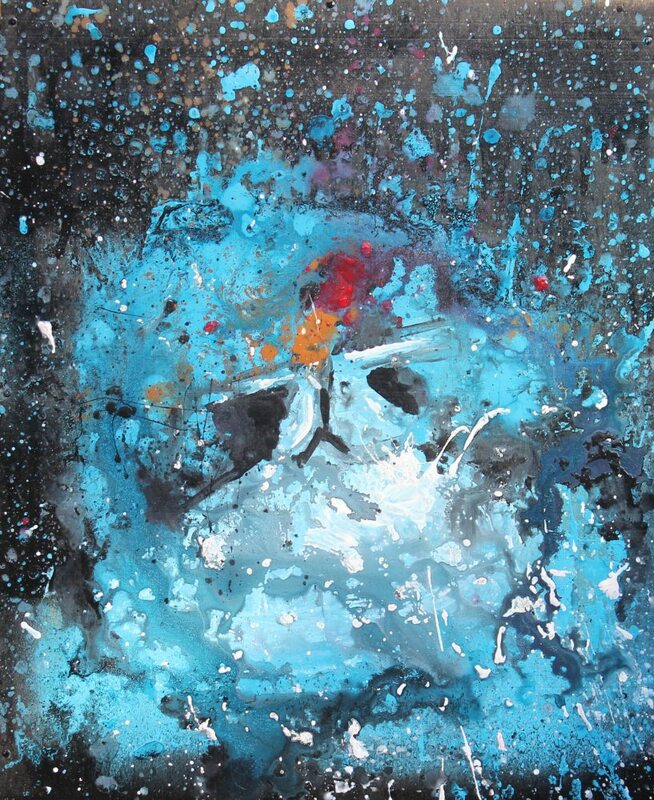 "I was never into painting [before], my art was always graffiti, but I did experiment with water colors here and there. 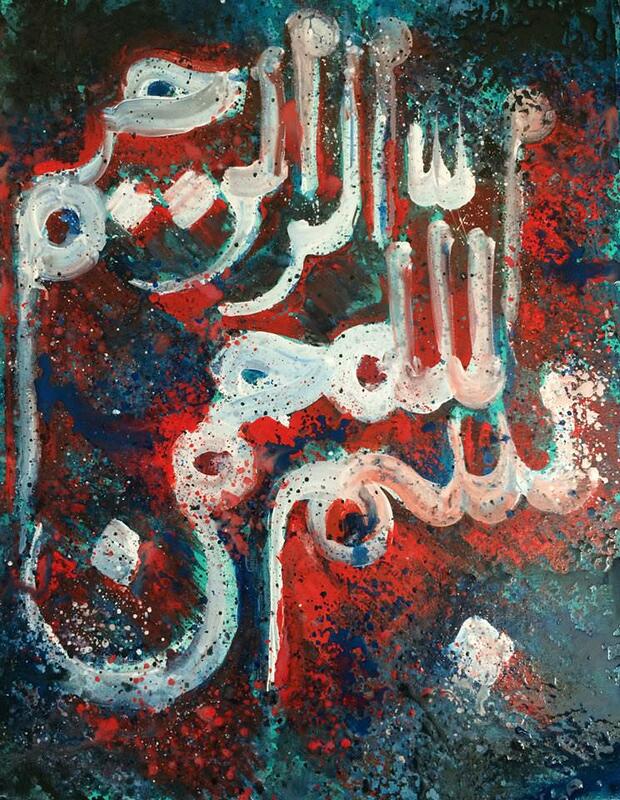 Learning about Arabic calligraphy has caused me to paint art and I have been doing that ever since," he said, adding that he has met some other calligraffiti artists who are also Muslim. What is next for him is to leave the U.S. and go on a Malaysia street art tour with his friends. Calligraffiti may baffle viewers at first sight because of the complexity of Arabic language but street artists like Gabriel believe it can be appreciated by all as they can interact with the shape although they cannot read it.